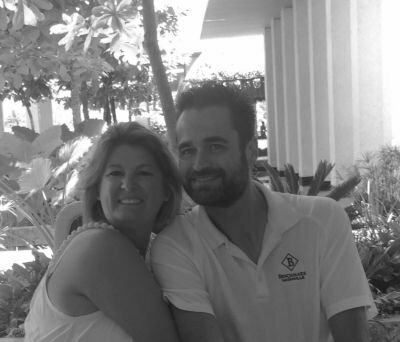 Sent to your recipient's email, if it gets lost, don't worry we have it memorized! Just have them show their ID and we'll do the rest. We didn't invent it, but have perfected our own recipe. Caution: Drink Slowly. Happy hour specials M-F from 2pm to 8pm and on weekends during select times. Ask your server for details. Nashville is known for its music, and Benchmark Bar and Grill is happy to offer free live local music without a cover charge. Sporting events are shown in both the upstairs and downstairs, and we are official Green Bay Packers Bar on gamedays. A full menu is offered, with signature wraps, wings and especially highlighed by staples like the Jamie’s Melt Down, a half pound burger with glossy bun, and the Nashville Frozen Bushwacker. Please fill out the following request for planning an event and we will follow-up within 24-48 hours of your request. 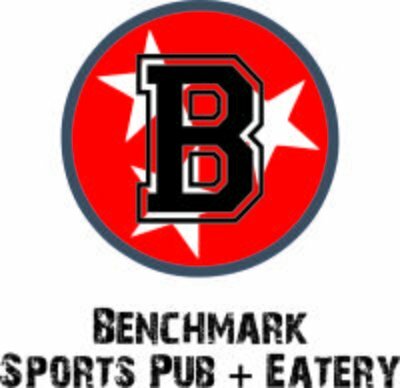 Please fill out our online form for Benchmark Sports Pub + Eatery opportunities! 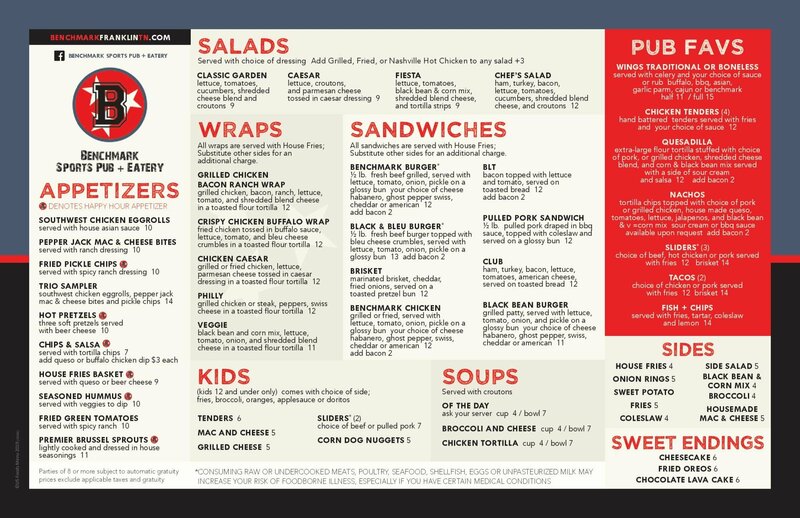 Owned locally by Franklin residents, Jamie and Jamie Grissom, who decided to expand their already successful downtown Nashville Benchmark bar and restaurant on 2nd Ave, into a new concept for the Berry Farms, South Franklin and Thompson's Station communities. Want to talk about a recent visit or to share suggestions? Please drop us an email at benchmarkfrankllintn@gmail.com and we promise to respond!